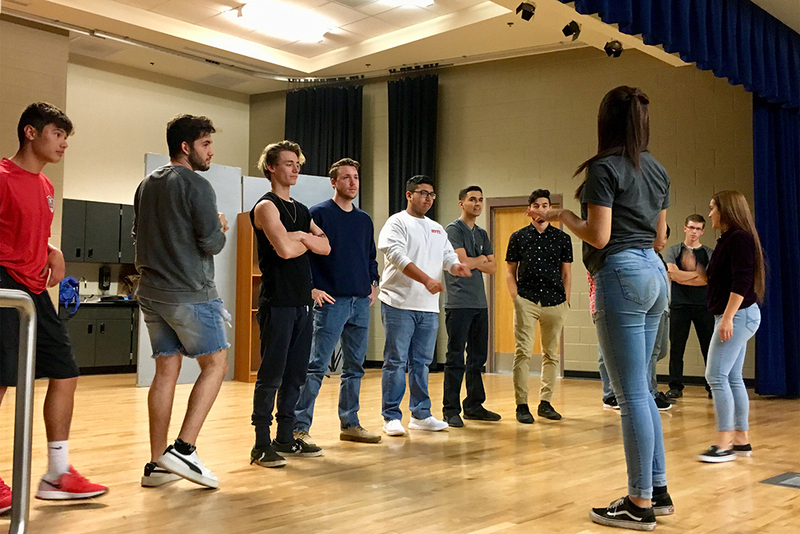 Pageant queens Lindsay Hubbard (Miss Pinal County) and Mackenzie Ford (Miss City of Maricopa Outstanding Teen) will host Maricopa High School’s first student pageant – and it’s for the guys. 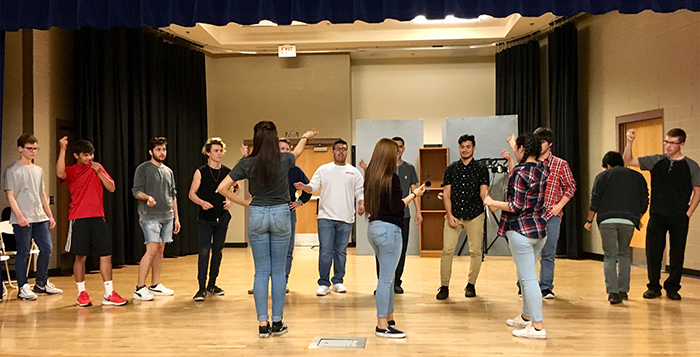 Senior boys will compete for the title of Mr. MHS, a free suit and two free prom tickets April 6 at 7 p.m. in the MHS lecture hall. Scoring is based on the talent contestants showcase and how they within each section of the pageant. All school rules in behavior and dress will be in place. There will also be a raffle for the audience during the event. At least 15 contestants will participate, including reigning Homecoming King Jalen Reyes, “Yo-Yo Guy” Patrick Flint and soccer player Kyle O’Hare. Reyes, a dancer, believes anticipates a fun spin on typically female-dominated pageants and a different experience to being onstage. Reyes said he is most excited about learning how to “walk” as they do in the modeling world. O’Hare loves supporting his school and rose as a leader in February when he led a prayer for the 17 victims of the Parkland, Florida, school shooting during the MHS walkout. “I like to get out and support my school with any event that they’re doing, I thought it’d be fun, and I want to gain more confidence in front of an audience,” O’Hare said. The pageant is run by Hubbard, Ford and a committee of six student council members. The committee is comprised of seniors Emily Aquino and Samantha Blaschke, juniors Mickaela Brown and Bailey Davis, and sophomores Jaqueline Maza and Cassidy Zimmerman. The event is sponsored by Student Council advisor and chemistry teacher Amber Flores. Flores introduced the idea of the all-boys pageant after having experienced a similar annual pageant at her previous school in Ohio. She hopes Mr. MHS will be something all boys at the school will look forward to once they reach their senior year. Flores described the contestants as outgoing, unique, talented and, above all, excited. “I just hope that the students look back on this as a fun addition to their senior year,” Flores said. Hubbard and Ford plan to make Mr. MHS an annual event. Ford, a junior, will take over the pageant next year once Hubbard graduates. They hope to invite this year’s winner to the second Mr. MHS Pageant to crown the next winner. The girls plan to extend the pageant beyond the high school and into the community. Joycelyn Cabrera is a senior at Maricopa High School and an InMaricopa intern.